You guys should know by now that me and Naturalizer go way back. My oldest pair of Naturalizer boots are almost 9 years old! 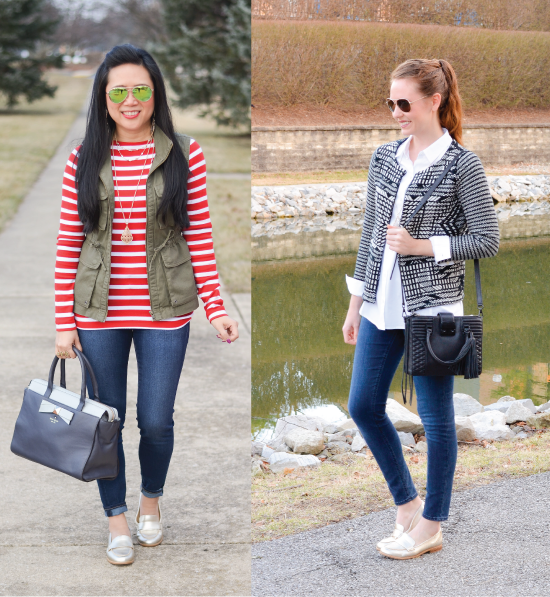 You can see them in my first year of blogging here and more recently in an outfit here. My next oldest pair of Naturalizers are from their "Naya" line. I can't live without them. Other colors are still available here and you can see my exact pair most recently styled here. I know this fringe number will join the alumni ranks of its predecessors and remain a closet staple for years to come! The fact that they have the quality and style to last not only season after season but year after year should speak highly of the brand. Not to mention that their shoes are amazingly comfy. I tell you all of this because Naturalizer recently reached out to me again asking if they can send me a pair from their spring collection in exchange for an honest review. Yes, of course! I narrowed down my decision to three pairs. These perforated peep toe booties, these silver suede sneakers, or the gold loafers. I decided on the loafers because I've been craving a driving shoe/ moccasin lately. At work, our parking lot is HUGE. We have to fight with almost 500 people for a parking space, and more often than not, we're parked in what we have nicknamed "long term parking" because it's an overflow parking lot behind the retail building on the property next to us, i.e. a hella long walk. And if that weren't bad enough, the parking lot is horrible for heels. Cracks everywhere! I feel like I'm walking on land mines. I'll typically bring a pair of old flats or flip flops that I use as my "parking lot shoes." They aren't pretty at all. One time I forgot my real life shoes and I was mortified having to wear my janky flip flops all day. I thought these loafers were the perfect buy because they a) don't look like anything I currently have in my closet and b) are cute enough to wear all day, not just in the parking lot. Call me crazy but metallic flats have a Parisian vibe to me! I immediately thought to pair some red and white stripes with them along with cuffed, dark washed, skinny denim. 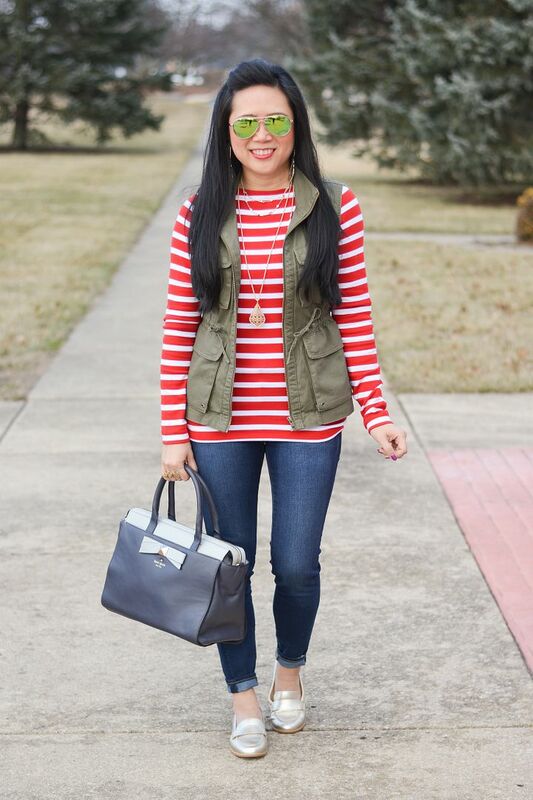 To keep the outfit from looking super nautical, patriotic, French, or Where's Waldo, I added my olive military vest to ground the look a bit. 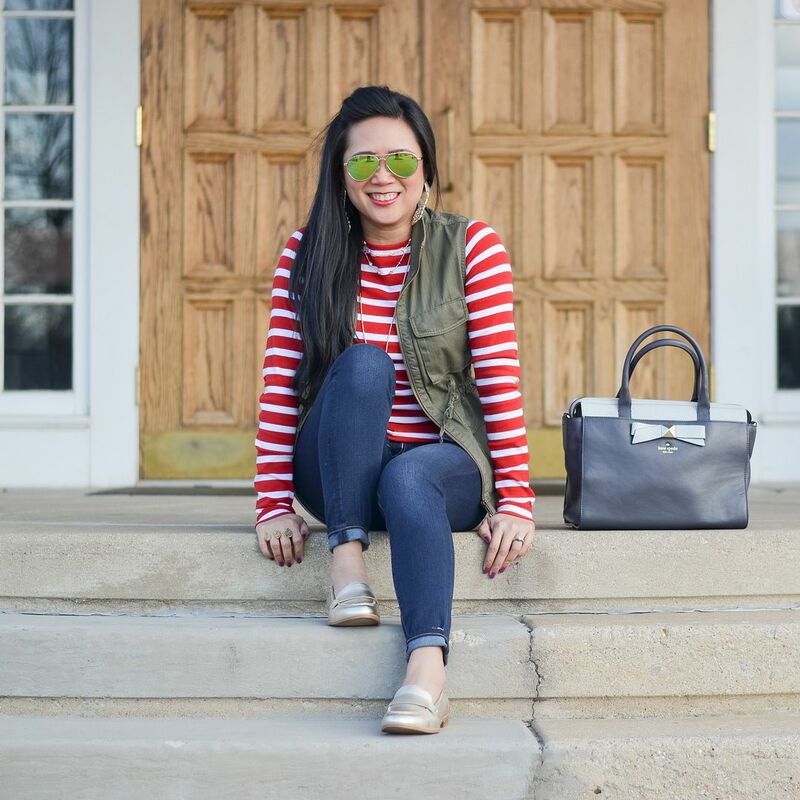 These loafers are so refreshingly preppy and in combination with the crisp red and white stripes, they give me hope for spring! Flats are so hard for me because they end up tearing my feet up way more than heels ever do. However, the super cushioned insoles make this pair extra comfy and supportive. They are lightweight with a flexible, non-skid sole that not only helps for stability, but helps to absorb pressure with each step. If they sound ridiculously comfortable, it's because they are. This outfit would be just as cute and preppy if I wore my white Converse. I love that I can fool people into thinking I'm putting forth a bit more effort by slipping on these metallic loafers instead. Especially since they're legit more comfy than my Converse. 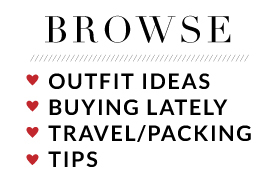 See Jenna's outfit details here! You know Jenna and I are meant to be blogger besties when a brand reaches out to us separately and we end up picking the exact same pair of shoes! We didn't discuss it at all, I just LOLd when she snapped about them and I immediately snapped her back a shoefie of my pair! That's when we decided to make a collaboration out of it! 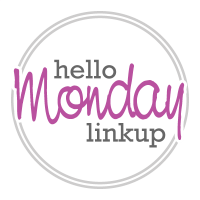 Be sure to hop over to her post here to check out her outfit details! 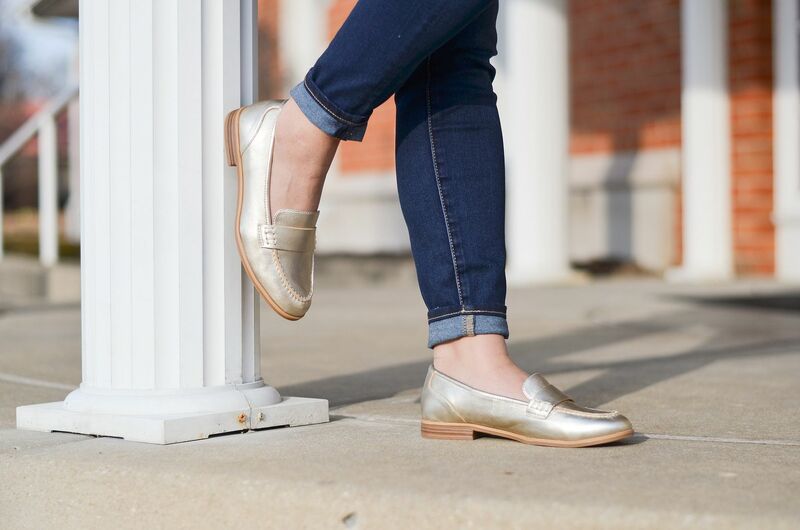 I hope you now have plenty of reasons to NEED some metallic loafers in your life! I love bootie season, but wearing these shoes definitely gets me excited to feel some spring sun and show more skin than just my ankles! you look adorable in loafers, this outfit is just adorable. The shoes are so cute, love that they are metallic! I love your metallic loafers! I've been seeing loafers everywhere lately and really want to get a pair too. 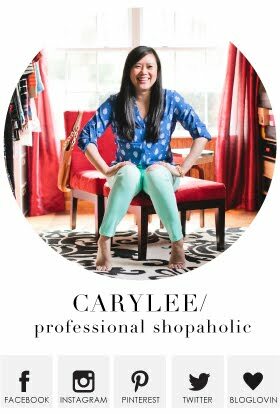 Such a chic look Carylee and thanks for the link up! Naturalizer really makes a great shoe. This is such a fun outfit with the gold! You know, I have zero metallic shoes other than sandals. You've convinced me that should change. These really add a great touch to both outfits you showed. Those loafers are the bomb---so funny you each got them!! Those loafers are darling! Love the way you can dress them up or down! You styled those gold loafers really nicely. 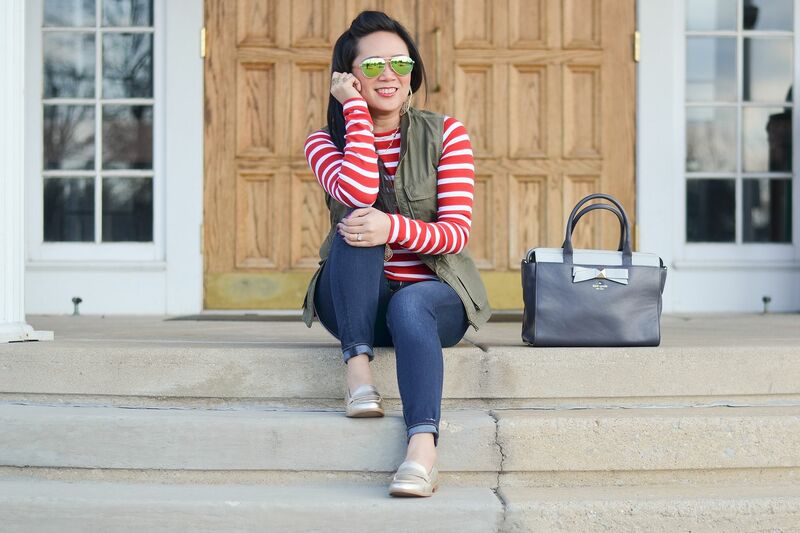 This outfit is preppy, chic and so put together. Love the red striped tee and I need one. I adore your look today! And those loafers are absolutely adorable- that gold color is so fun! Your shoes look so comfy and chic. Love this entire look. 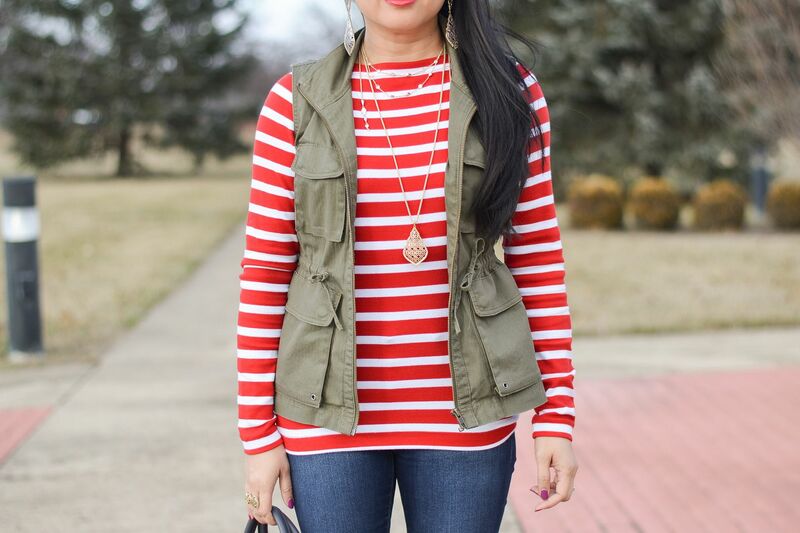 The red and white striped top is adorable! Such a cute look! 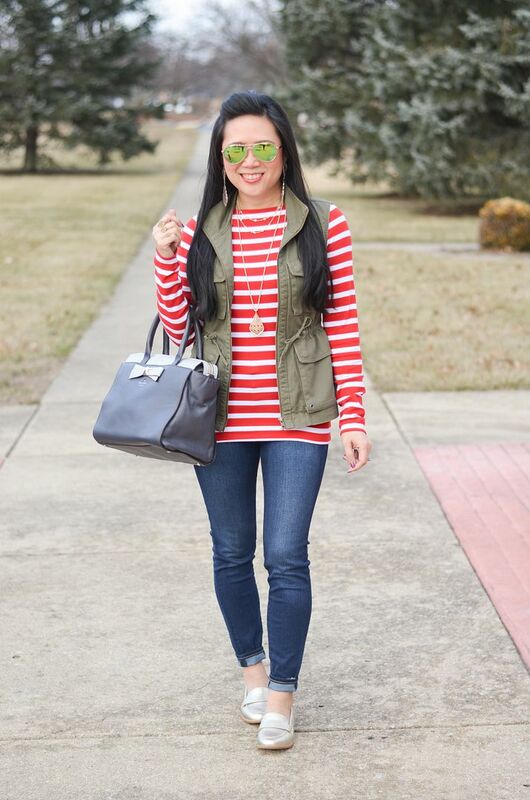 Loving the shoes with the red and white stripes and how the necklace brings the gold out of shoes! Thanks for hosting! These gold loafers are perfect! Love that you are twinning with Jenna! Great minds think alike! Those shoes are so cute. I've had my eye on a similar pair from J. Crew. I really like how you styled them here! your shoes is so cute. You two are so adorable...great minds think alike for sure! These loafers look amazingly comfy and cute!